The recovery in EUR/USD ran out of legs near 1.0625 in the Asian trades, but the bulls managed to keep the 1.06 handle heading into a holiday-quiet session ahead. The major met fresh supply over the last hours after the selling interest behind thegreenback waned amid a recovery in risk sentiment. Upbeat Chinese macro newscombined with reports of US and China ties improving in a bid to overcome tensions over the Korean Peninsula brought relief to the markets. The US dollar was broadly sold-off on Friday, following Trump’s jawboning and dismal US retail sales and CPI data, both of which disappointed markets. Meanwhile, the looming geo-political tensions continue to underpin the sentiment around the funding currency EUR. Also, the EUR/USD pair benefits amid latest French election poll results, which continue to show Macro in the lead versus its rival Le Pen. A Le Pen win in the French presidential election would imply France’s exit from the EU, which is seen as EUR negative. Looking ahead, it’s a Big week for the common currency, with the first round of the French presidential election on the cards, outcome of which will drive the sentiment around the Euro ahead of the second round scheduled on April 23rd. It’s a close call between Emmanuel Macron and far-right Nationalist Party leader Marine Le Pen. 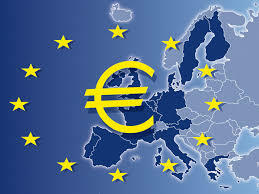 In the meantime, macro news from the Eurozone and US will drive the markets, with the Eurozone final CPI and manufacturing PMI reports slated for release in the week ahead. Technical resistances for the pair are aligned at 1.0650 (psychological levels), 1.0687/90 (Apr 6 & 5 high) and finally 1.0715 (March 13 high). On the flip side, the spot finds next support at 1.00603/00 (daily low/ key support), a break below that level could open the door to 1.0568 (multi-month lows) and 1.0500 (key support).